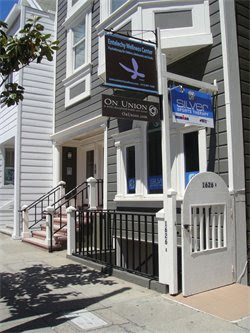 Exciting news at our San Francisco Store! One of our neighbors from not too far up on Union street is Kim Scott, M.S., CCC-SLP, a Certified Speech-Language Pathologist. She runs Speech Therapy 101, a business dedicated to not only the development of children's speech but to the education of parents on how to take their child's speech development into their own hands. The thing we love the most about Kim and her business is that she focuses on prevention of speech disorders. Instead of waiting for the time when treatment is needed, she uses music, signing, books, and play therapy to make sure each child hits their developmental milestones on time. It is wonderful that she encourages parents to be as active as possible in their child's speech development, allowing them to come for a session or open workshop whether or not their children have speech disorders. We are partnering with Kim, who often sends her clients down to our store to pick up a few special toys that she likes to use in her play therapy, to make it easier for parents to locate useful toys and understand how to use them to develop a child's speech responses. Keep an eye out on our shelves for informative placards authored by her to indicate these toys. Even if you are not yet a client of Kim's, we are sure you will find these new little labels very helpful and informative. 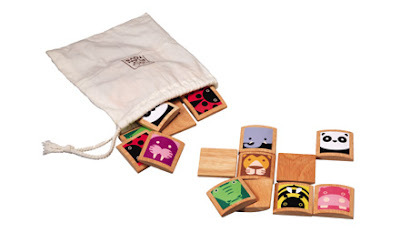 If you would like to get more active in your child's speech development, the cards flag the toys to use and give you exercises and key words to teach. And if you are interested in more instruction in the matter, be sure to contact Kim at Speech Therapy 101 for a free consultation. We are having a very special, super-fun event at our Corte Madera and San Francisco stores on Saturday, May 8th. Come in and meet a real-life Calico Critter, get your picture taken, and get free gifts! 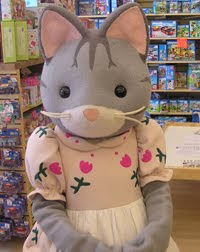 Mrs. Fisher Cat herself has come all the way from Cloverleaf Corners to meet and greet the kids from 10:30 a.m. till noon at the Corte Madera Store, and from 1:oo p.m. till 2:30 at our San Francisco store. Bring your kids and we will take your picture with her and post it to our Flickr account later in the week so you can download a high-resolution image for free. And of course, feel free to bring your cameras as well. *While supplies last. Photo courtesy of Child's Play Portland. Remember the Insect Lore products we talked about in this post? Well, on Thursday we will have one of the live butterfly kits on display in our San Francisco Store, complete with caterpillars just ready to turn into butterflies! Come in and see them transform through the weekend, and maybe take some home for the kids! We just got in this amazing new toy called the Aquaplay water canal system. In the past, we have carried a variety of sand and water tables that are great for teaching children about cause and effect, as well as simple physics like gravity, surface tension, and early fluid dynamics. 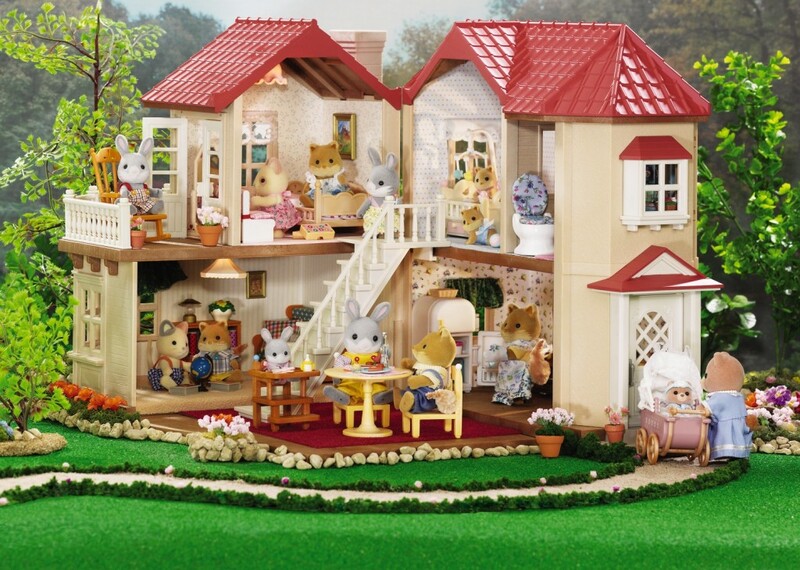 But this new set has just blown us away with what the kids can do. They are able to explore the movements of realistic waterways in a small scale environment. The sets come in varying sizes and include tons of different ways to interact with the water, such as levies, wave makers, and pumps, as well as plenty of boats and accessories. But it gets better: the Aquaplay is also a customizable building toy. Much in the fashion of classic wooden railway sets like Thomas trains, kids can start with a small set and add pieces to construct one-of-a-kind waterways. Check out this great video to see the Aquaplay in action, and come by our stores to check them out! We will be closed on Sunday, April 4th, in observance of Easter. Hope everyone has a happy holiday, and see you Monday! In addition, the SF MOMA (http://www.sfmoma.org) is free every first Tuesday of the month, as are the DeYoung Museum (http://www.famsf.org) and the Cartoon Art Museum (http://www.cartoonart.org). 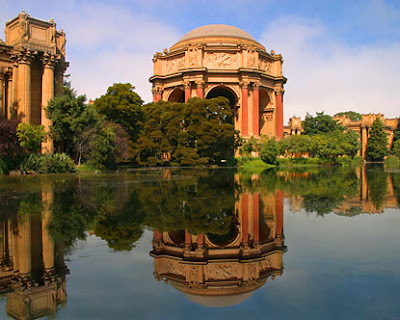 On the first Wednesday both the Exploratorium (http://www.exploratorium.edu) and the Bay Area Discovery Museum (http://www.baykidsmuseum.org) are free! So get out and have some fun while learning at the same time, without having to spend a dime! The March winds have started to blow and we are fully prepared! We carry a wide range of kites for all ages and all budgets, and now is the perfect time to plan a day to fly. We get a lot of questions about which kites are the best kind, and truth be told they are all awesome, it just depends on the flyer's skill level and the speed of wind you will be flying in. 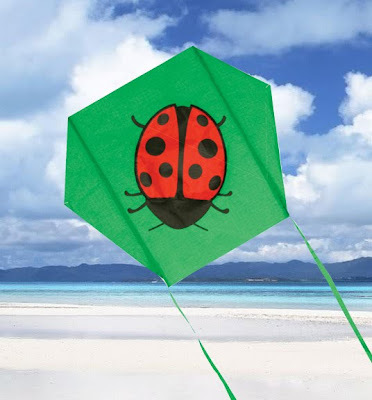 For the littlest kite fliers, we recommend mini kites such as pocket parafoils. They are small enough to fit in a pocket or purse, easy enough for even the littlest kids to fly, and they will not get lost in the wind if the string happens to slip from their grasp. They do not require much wind either, and we find that the little ones love to run with them to get them in the air. The next step up is for young kids who can hold on to a kite string with confidence and who can get and keep it in the air with some help from mom and dad. For this group we recommend either an "easy flier" or a small to mid size diamond kite. Their simple shapes and single string make them easy to maneuver and easy to fly in relatively low winds. 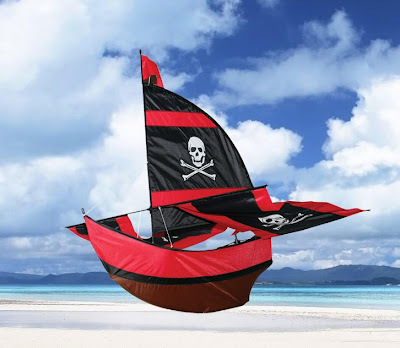 For kids who can launch and fly a kite all by themselves, there is an endless range of shapes and designs, like delta kites, box kites, and beautifully shaped birds, butterflies, planes, dragons, and pirate ships. Most of these kinds of kites require a little practice to do any fancy maneuvering, and because of their larger sizes they also require a bit more wind. 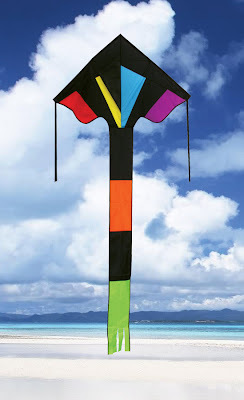 And lastly, for the big kids (aka mom and dad), we carry some advanced two-string sport kites, also called stunt kites. their shapes are similar to delta kites, but the double strings make them nimble in the air, and they are able to bob, weave, dive, and do loops. These kites are usually for kids 12+ because they require a good degree of control and respect for bystanders, as well as substantial winds. 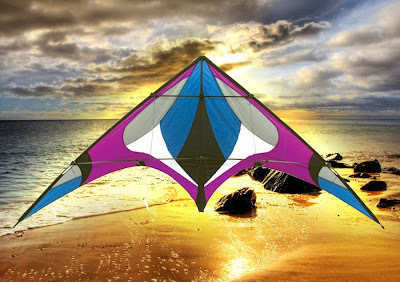 If you have any kite questions feel free to ask any of our employees or leave us a comment or e-mail! Images courtesy of one of our favorite kite suppliers, Skydog Kites. They also have some great instructional videos on how to build and fly kites, here. 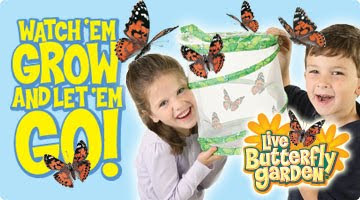 Every spring we carry a fantastic bunch of products by a company called Insect Lore. They make educational habitats for all kinds of critters. All off our stores have Butterfly Gardens, Ladybug Lands, Earthworm Nurseries, and Ant Hills, as well as a variety of little bug houses for observing the habits of wild-caught bugs. When you buy the kits, they come with a free mail-in voucher to get your little inhabitants shipped directly to your door. These kits are great for teaching children about the life cycles, habitats, and diets of the bugs and animals they get to take care of. It is also a great way to build responsibility awareness, because even though they are just taking care of bugs, they still need to feed them and make sure they have what they need. 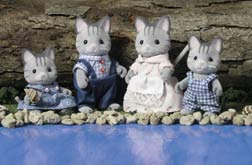 These kits also give you the opportunity to teach your children about ecology and the environmental impacts that we would see if we ceased to have these little critters in our world. It is such a great tool to help children understand how wonderful they are - how earthworms filter the soil and feed the plants, how ladybugs and butterflies are not only beautiful but eat harmful bugs too, and how if there were no more earthworms plants could not grow. Let them know how important these tiny creatures are and that preserving our water and land will preserve the delicate balance of nature. Kids tend to relate to these tiny bugs and their big impact with relative ease, and it helps them to have confidence that even though they are small, they can change the world too. 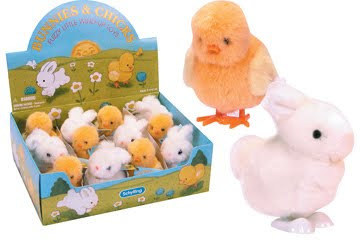 Another little basket-stuffer that the kids love plying with in the store are these adorable bunny and chick wind-up toys. They hop around all over the place in our store this time of year, and I cannot think of a kid who would not be delighted to et one in their easter basket. We also have tons of egg-shaped bouncy balls and sparkly putty, little tiny plush bunnies with knit sweaters, and Peter Rabbit and Pat the Bunny plush, toys, and books, with even more Easter goodies on the way! 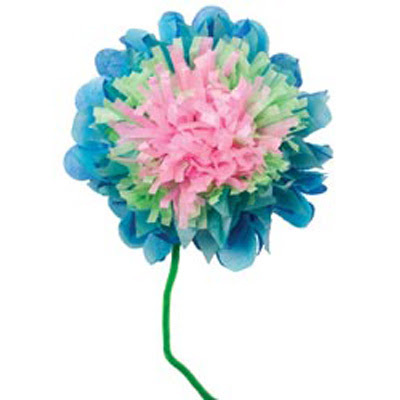 We have some great Easter day activities for kids too, like the Alex's Giant Paper Flower kits. 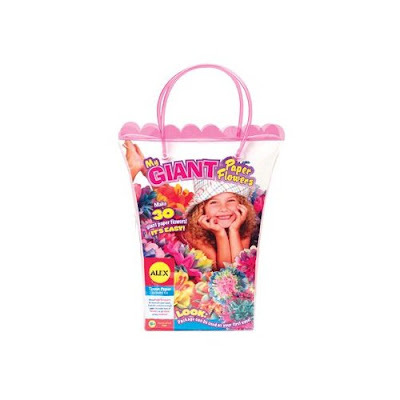 It's for ages five and up, and it comes with enough pipe cleaners and tissue with pre-cut edges in beautiful colors to make over 30 big paper flowers. You could also make them into garlands to decorate for a spring-themed party. 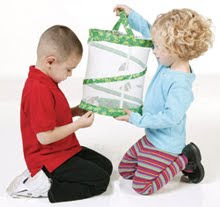 It's a fantastic no-mess, no-stress activity for the kids. We have made some extra-huge versions for our stores, so come and check them out! Stop by any of our stores and let us help you build the perfect easter basket for your little one! Kettler Is Now On Sale! We have been carrying Kettler tricycles and scooters for years, and their quality construction and value continue to be unsurpassed. A Kettler trike is an investment that will last a lifetime, quite literally. They are designed and manufactured in Germany, are of durable metal construction, and come with a lifetime warranty on the frame, but in addition our stores personally guarantee the entire trike. Plus we sell them in the box or assembled free of charge! There are so many different features to choose from that you are bound to find a trike that is a perfect fit for you and your little one. Every trike comes with a pushbar, which means you can control the trike when needed, or use it in lieu of a stroller for little ones who are easily bored by a standard stroller. The optional steering lock feature is a great little item to keep kids from steering while you are pushing the trike. If you decide to get a trike for them when they are still too little to pedal by themselves, they will learn very quickly how to steer and pedal and they will be more confident when you decide to take the push bar off and let them ride on their own. The trikes have telescoping frames that will expand to fit your child as they grow, and many children still use their trikes even as they move up to regular bicycles. Other optional features include large seats, air tires, rear-wheel steering, and special color themes such as princess pink and surfer blue. There is also a great range of accessories such as seat belts, foot rests, bells, and baskets, to help you customize your perfect trike. If you are unfamiliar with Kettler products, all of our store employees are well versed in all the features and will gladly help you find out which trike is the right one to fit your needs. Stop by any of our stores and check them out today! *Limited to stocks on hand. We just got in a fantastic display full of beautiful stickers and sticker kits from Peaceable Kingdom Press, and we just have to show them off! 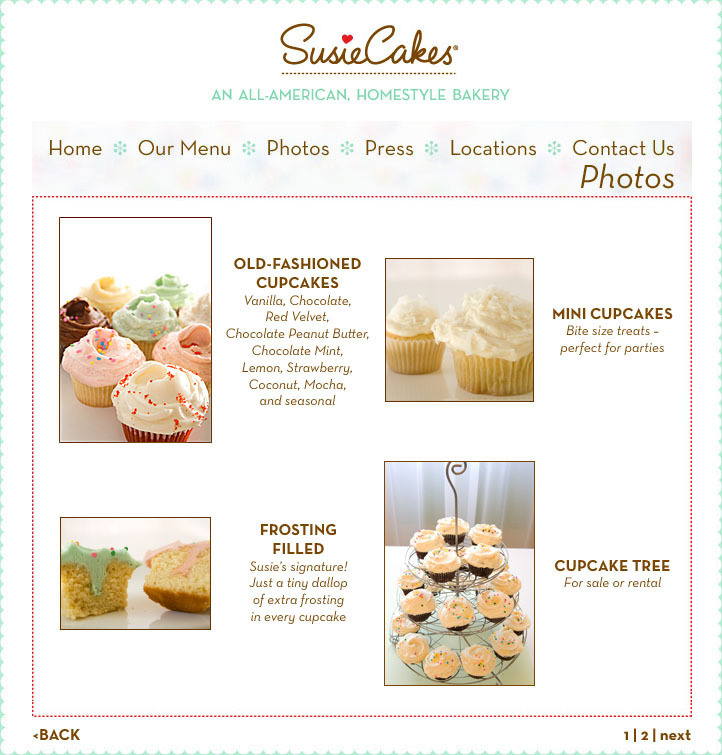 This sweet little company started in the 1980's in Berkeley, CA, and they are still based there today. We love having such a great company so close! The company was started by the son of renowned children's book illustrator Clement Hurd, who is best known for illustrating Goodnight Moon. 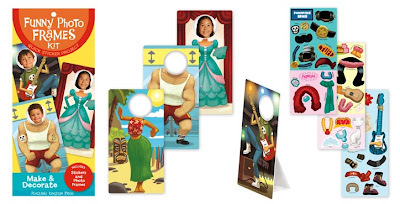 They employ tons of fantastic children's book illustrators to design their beautiful games, cards, stickers, and other great toys. All of their cards and envelopes are made from 100% recycled paper, and printed with vegetable inks. Plus their stickers are all printed on a phthalate-free vinyl with soy-based inks, and they're recyclable! 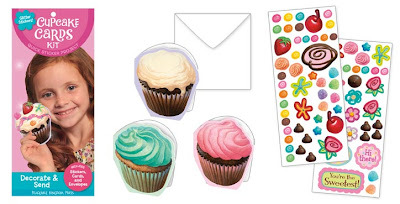 They make some amazing little sticker craft kits, and for only $4.99 they're an absolute steal when you need to entertain a few kids for the afternoon. We highly recommend them for party favors or even party activities, and they're great for everyday quiet creative time too! Totally stylish, these pendants are actually teethers for baby! We all know how much the little ones love to try and eat any jewelry mom happens to have on, and it usually results in moms having to forgo their accessories. But these little beauties are safe, semi-soft plastic that is perfectly safe for babies to chew on. They come in a variety of colors and patterns too! What a fantastic idea. Plan Toys is by far one of our favorite companies to carry. I have noticed that a lot of people do not know much about why these toys are so awesome, so I just wanted to spread the word! 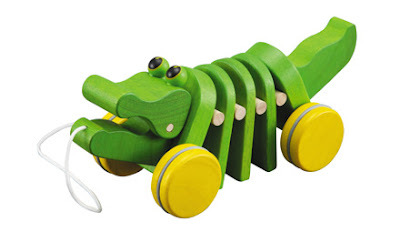 You can tell just by checking out the box that Plan is something special - their modern, colorful designs are engaging and easy to love for kids of all ages, not to mention that all their products are wood, not plastic. 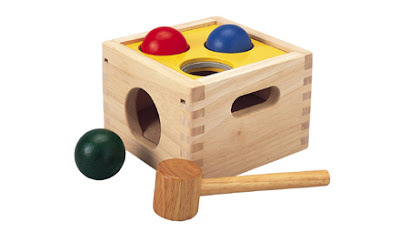 But there is much more to the story than just colorful wooden toys. What a lot of people do not know, probably because their packaging is not smattered with proclamations of eco-friendliness, is that Plan makes some of the greenest toys around. To start with, all the wood comes from organic ruberwood trees which are too old to produce latex. Organic wood? Awesome. Even more awesome is the fact that these trees would usually be cut down and simply burned because their latex yield has decreased, but Plan is the first company to put this wood to a better use. And there is no deforestation in harvesting these trees because they are quickly replanted. Also, the wood is not treated with any chemicals after it is cut, but rather it is kiln-dried and all of the paints are water-based and free of heavy metals and nasty chemicals. And you know what they use to power the kiln? Scraps and off-cuts from the production process, reducing wood waste to zero. They also use solar power and biofuels to power their machinery, and the toys are assembled with non-toxic E-Zero Glue. And even their boxes are recycled, recyclable, and printed with soy and water-based inks. Pretty awesome, right? In addition to all of their efforts to reduce waste and make the toys as green as possible, they do a lot of charity work and donations to special needs groups, and they have an ongoing reforestation program. So if you have not had a chance to check out Plan Toys we carry a nice assortment in all of our stores and we would love to hear which products are your favorites! We just got in a batch of the cutest kits ever from a lovely company called The Little Experience. Not only are the toys they make absolutely adorable, but they are also highly educational, creative, affordable, and downright fun! The age range suggestions on the boxes are spot-on, and they even have some easy-to-use symbols for skill levels within those ranges to help you chose the perfect toy. 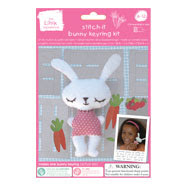 These amazing little building, sewing, knitting, and paper-craft kits come with everything you need to make a lovely toy, and then some. Another reason we love The Little Experience is that all their kits come in reusable packaging. 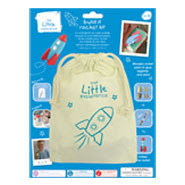 Many come in muslin bags which can be used for anything imaginable, and the ones that come in boxes have instructions to make extra accessories out of them to go with the toy you make. Also, you can send a picture of your child proudly displaying their new creation and you may be chosen to be featured on the box! Their website even has a special section of free stuff to do that is full of cute ideas for parties, games, crafts, and even instructions on how to knit, all in PDF format so you can save copies for later. All in all, this company has won us over right away, and if you like the products we selected from their line let us know, and if there are any more you would like us to carry we would love to hear from you! This blog will be up and running soon, keep checking in!